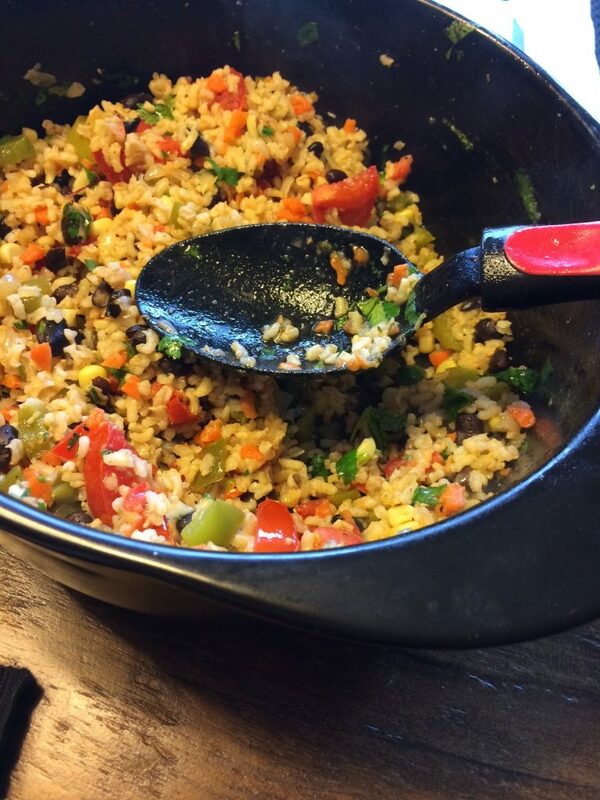 There is just something about spicy homemade Mexican food cooked up in Xtrema All Natural Ceramic Cookware! 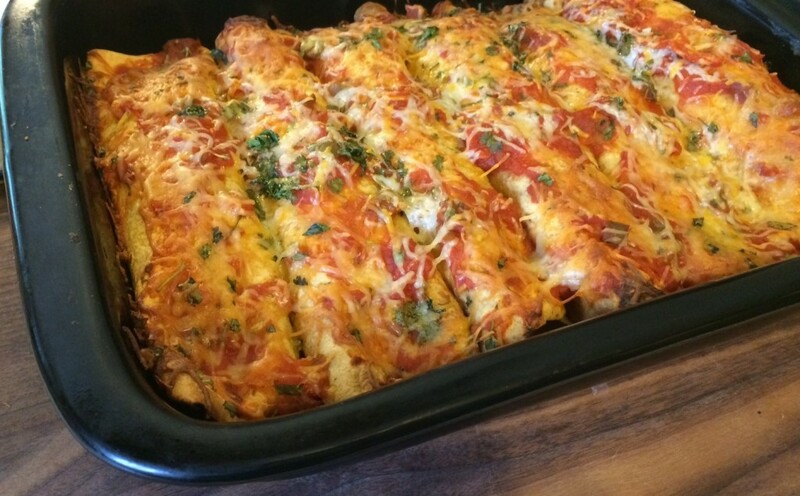 We had family over and baked up homemade shredded chicken and roasted veggie enchiladas served with a homemade southwestern rice. Everything was cooked and served in Xtrema. Unlike metal, our 100% ceramic cookware goes straight from the stove or oven right to the table. The meal was plated on our Ameriwhite Dinnerware. 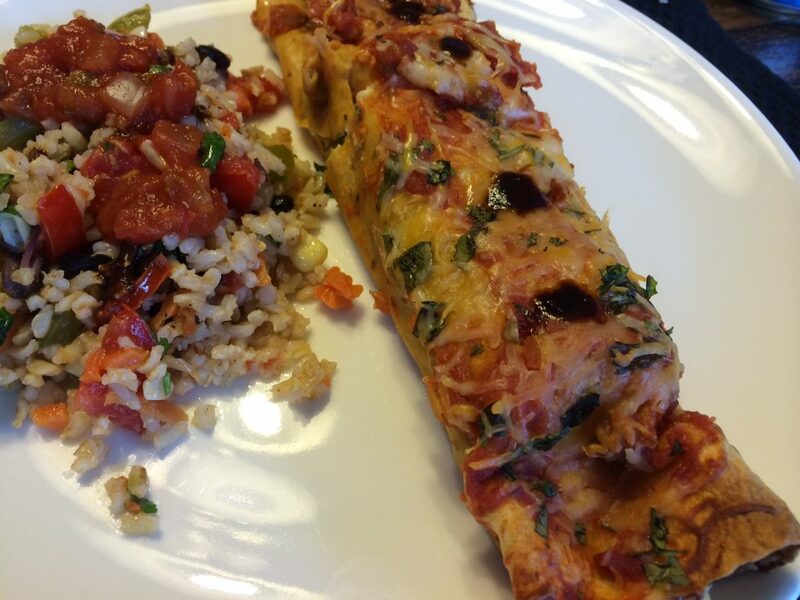 This healthy southwestern meal with be a family favorite! 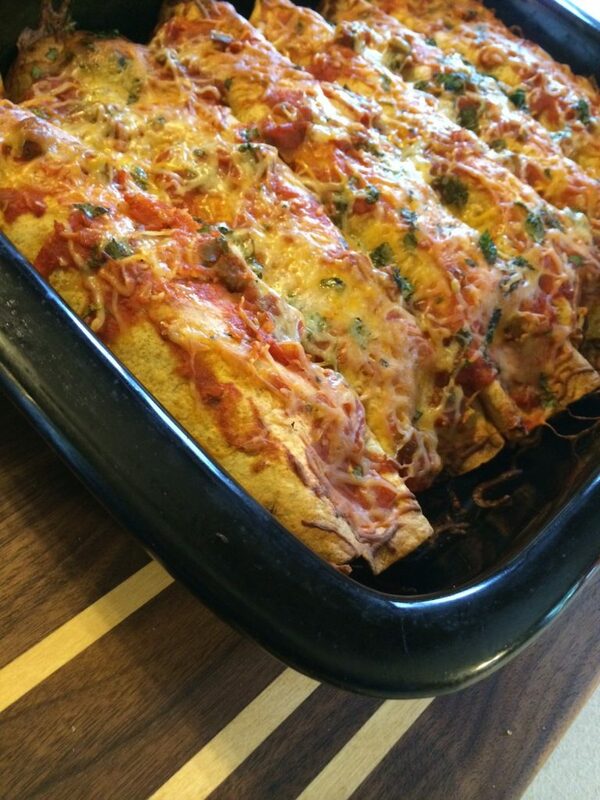 You are in luck because here is the the recipe for both the enchiladas and rice. Bring water and rice to a boil. Reduce heat, cover and simmer for 15 minutes. In small Xtrema Ceramic Skillet, saute the green pepper, onion, carrots in oil until crisp and tender. Add garlic and cook 1 minute longer. Add mixture from skillet to rice. Stir in corn, beans, tomatoes and cilantro. In small bowl, combine oil, lemon juice and cumin. Pour over rice, stir and coat. Shred chicken and zucchini into thin pieces. Saute Bell Peppers (Red and Yellow) using your Xtrema 100% Ceramic Skillet. Lay out a wraps on cutting/serving board. Our Vermont Boards are featured in the picture to the left. These are great for prepping and serving your favorite dishes. Spread cream cheese on the wrap evenly. 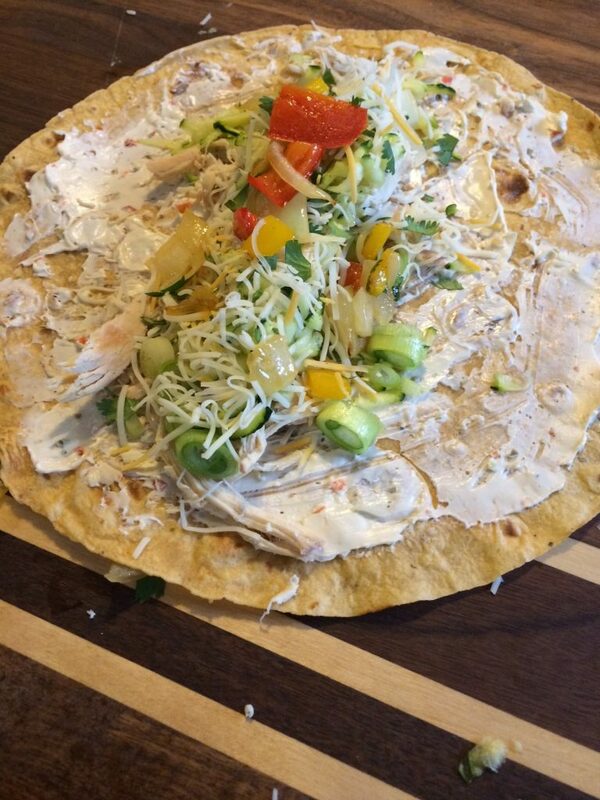 Sprinkle chicken, cheese, zucchini, and cilantro in center if wrap. Roll it up and repeat with remaining wraps. Place wraps in your Xtrema Ceramic 4 Qt or 6 Qt Baking Dish. Sprinkle some Salsa Verde and shredded cheddar on top of rolled wraps. Bake covered at 350 degrees for about 20 min. Food just taste better in Xtrema All Natural 100% Ceramic Cookware!